Are you considering embarking on a fascinating new career in the emerging 3D printing industry? Although these high tech printers have existed in manufacturing venues for many years, only comparatively recently have they emerged into consumer markets. Just as the spread of personal computers revolutionized the IT industry a few decades ago, very soon the popularity of 3D printers may create a seismic shift in the way society obtains many goods and services. Today, companies in many nations have invested billions of dollars in conducting essential research and development in the 3D printing field. Ongoing projects seek to improve the available computer hardware and software products used in this expanding industry. Many firms especially desire to obtain user-friendlier customer interfaces for 3D printing technology. During the next few years, software engineers and developers will discover widespread opportunities in lucrative careers of creating and improving programs to help people produce 3D printed items. A new talented group of designers has emerged to create the three-dimensional models relied upon during the 3D printing process. These individuals come from many fields, including the entertainment industry, biomedical device development, architecture and consumer product development. Since models play such an important role in this form of high-tech manufacturing, 3D designers perform a pivotal role in creating new printed products. Job seekers in this emerging field will benefit from the ability to sketch, draw and utilize computer assisted drafting programs. They’ll obtain many chances to display their abilities, either as company employees or as freelancers. Workers with practical experience in this field will probably maintain an edge! The field of 3D printing will also supply many new jobs for individuals with a broader background in product engineering and development. For instance, students with degrees in engineering will likely find themselves in high demand to create new products for the 3D printing marketplace. Businesses will also require the services of trained marketing experts and MBAs to help sell popular new 3D printed products as cost-effectively as possible. 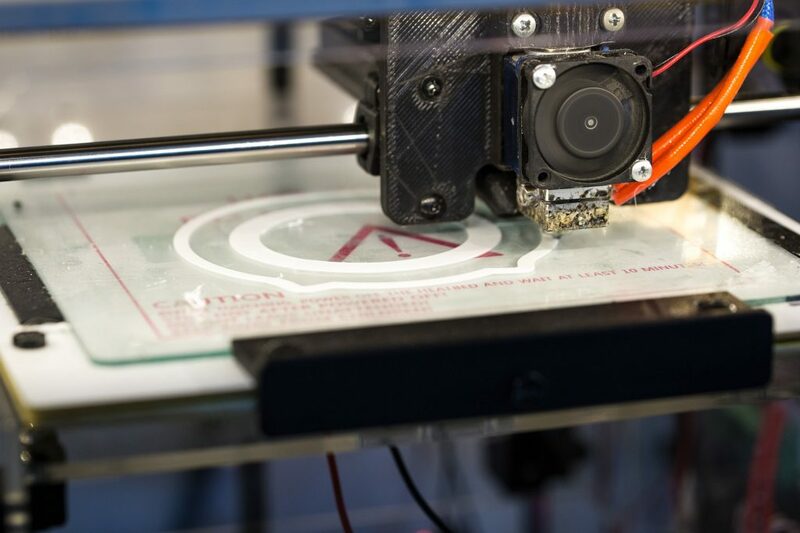 Since 3D printing involves creating a product at the point-of-purchase through additive manufacturing, this industry allows product development experts to devise and refine prototype models. Prototype creation will likely assume a very important role in product development in the near future as a result of trends within the 3D printing industry. This result will hold many benefits for companies engaged in product improvement and development. People who have a skill set to devise detailed miniature models for a variety of industries will also find interesting new job opportunities as a result of the growth of 3D printing. For instance, in the construction field, some experts predict 3D models may eventually replace some popular two-dimensional plans for many purposes. Architects and project managers today often rely on scaled three-dimensional models of proposed developments to showcase their proposals instead of artistic renditions, for instance. As 3D printing becomes more widely available, this trend will likely continue. In the biotechnology industry, scientists will benefit from the availability of detailed three-dimensional anatomical models. These tools, which assist visualization, will aid surgeons in planning certain procedures. Realistic anatomical models in three-dimensional form also benefit prosthetic fabrication teams and their patients. In order to prepare these materials, modelers need a solid foundation in specialized areas, such as architecture, construction, city planning, anatomy or medicine. Numerous opportunities await educators with expertise in the 3D printing field, too. As this developing industry expands, more academic programs will seek qualified instructors to teach 3D design and printing courses. Teachers who possess experience with 3D modeling and product printing will likely possess an advantage obtaining positions in this emerging field. Yet educators at all levels (from elementary classrooms to graduate school programs) may find themselves in demand to teach students about three-dimensional printing. Many manufacturers will also hire instructors to lead practical tutorials and training workshops. The rapidly expanding marketplace for 3D printers and products promises to create a myriad of job opportunities during the next few years. Five distinct types of career fields will likely benefit from these changes: software engineers and developers; 3D designers; product development experts; modelers; and educators. Consider expanding your training to include 3D printing now if you anticipate entering any of these occupations!